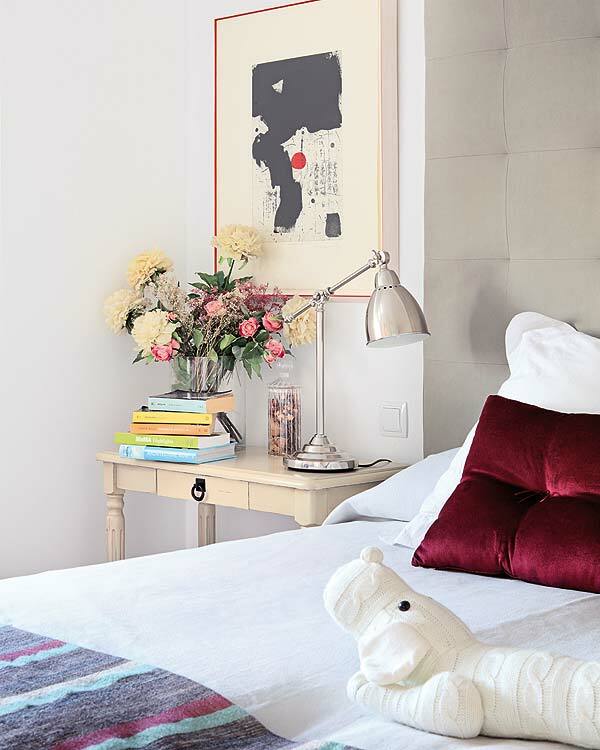 Mix and Chic: Home tour- A bright and modern home in Madrid! Light, bright and airy, this modern home feels warm and inviting. Do you like this home? Any elements that catches your eye? Which one is your favorite room? Hi Jessie, hope you had a lovely weekend. I think this place is lovely - it has great style and also looks like you can live there - without the place being a museum. I like it a lot. I am in love with this house! It's all so fresh and crisp! The dining room is my favourite, I just love how the shelves were styled! Yes please! What a gorgeous home! I like the dining room best. It always looks cluttered but not quite. Love. How do you keep coming up with such lovely images? This winter, when it is cold and dark....I am painting my entry all white! What a pretty home. I love how open and airy it feels with the abundance of natural light. 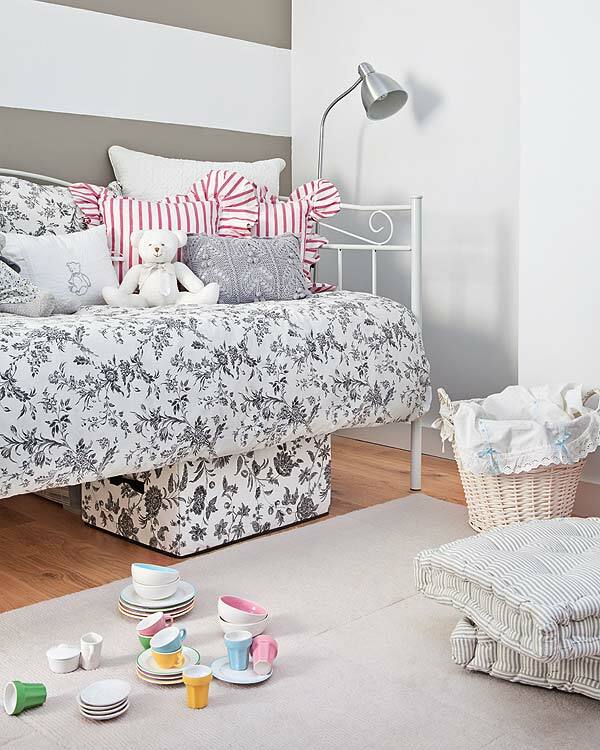 The day bed in the little girl's room is simply charming! Really lovely home! Sop open and bright! I really like how light and bright it is...but still color is infused everywhere...noticed the glass that can separate the kitchen from the rest of the home when closed...interesting!! So light and refreshing! My favorite room is the bedroom, I love the tall headboard and the fresh colors! Love the lightness of it all and that bit of color in each space. Like the shelving unit in the bedroom or the back of the barstool in the kitchen. Fun! Love it... bright, fresh, crisp and creative. Love the dinning room with the white chairs. What a fun house. Very cool! I love the sliding glass door -- a modern take on a classic barn door. I also love the first image, and the bathroom is fun! Yes...I love this home. I see quite a few things from Ikea...which goes to their great style!!!! I love the chairs in that third picture! I swear Jessie, my pinterest pinboards are so filled with pictures from your blog!! I like the interesting pops of color and that headboard is quite magnificent. I also like the glass wall/door to cut off the kitchen without closing it off entirely. Wow! I love all of the unique vintage pieces mixed with the modern furniture. I totally have that duvet cover from Ikea! It's perfectly subtle yet girly. LOVE LOVE LOVE!! My favourite has to be that glass door. Love it! Feels so comfy, relaxed, bright and happy! WOW....i love that glass sliding door in the kitchen area!